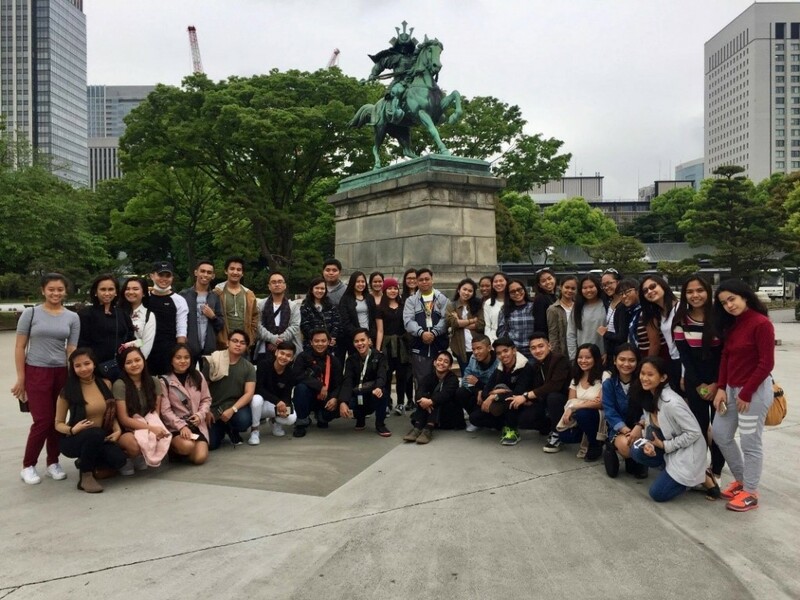 Josenian students visited Toyo University and Toyo Ushiku High School for Exchange and Cultural Immersion Program in Japan on May 10-17, 2017. The program is intended for USJ-R students to learn and understand the Japanese culture, and also to experience and be exposed on how classroom instruction is done in Japan. USJ-R Junior and Senior High School Students with Rev. Fr. Emilio Jaruda, Jr., OAR (USJ-R Junior High School Principle) and Dr. Marivic Diwa, (Senior High School Department Coordinator) during their second day of tour in Mt. Fuji and Lake Kawaguchi. 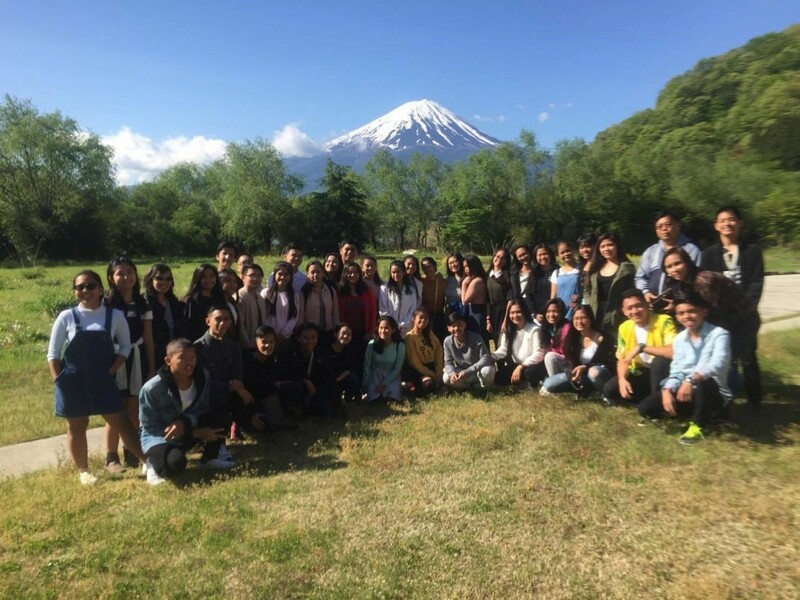 The USJ-R Junior and Senior High school students toured around the Imperial Palace and went to Lake Kawaguchi Seminar House in Yamanashi. They also visited the famous tourist sites in Japan namely Mt. Fuji and Ice Cave. 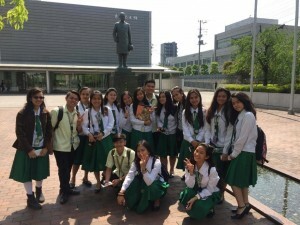 USJ-R Senior High students take a pose in front of the statue of Toyo University’s founder. The students learned Haiku (Poem), Physics, Math, Calligraphy and the Japanese way of living. They lived with their host Japanese families who are connected with Toyo University and Toyo Ushiku High School. USJ-R Junior and Senior High School Students with Rev. Fr. Emilio Jaruda, Jr., OAR (USJ-R Junior High School Principle) and Dr. Marivic Diwa (Senior High School Department Coordinator) during their first tour in Samurai Statue. Calligraphy class with Rev. Fr. Emilio Jaruda, Jr., OAR in Toyo Ushiku High School. During their visit USJ-R students were accompanied and monitored by Rev. Fr. Emilio Jaruda, OAR, USJ-R VP-Administration and Junior High School Principal together with Dr. Marivic Diwa, Senior High School Department Coordinator.